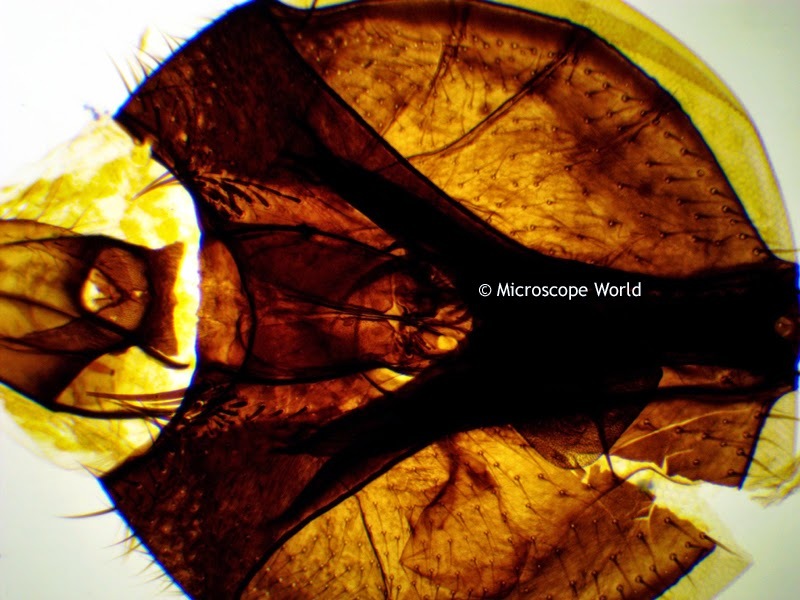 Microscope World Blog: House Fly Under Microscope! The common house fly is pesky and annoying. When viewed under a microscope it can be fascinating. These house fly images were captured by using the prepared slide from the Zoology, Entomology and Insect Prepared Slide Kit and placing it under the Richter Optica HS-1D digital high school biology microscope. 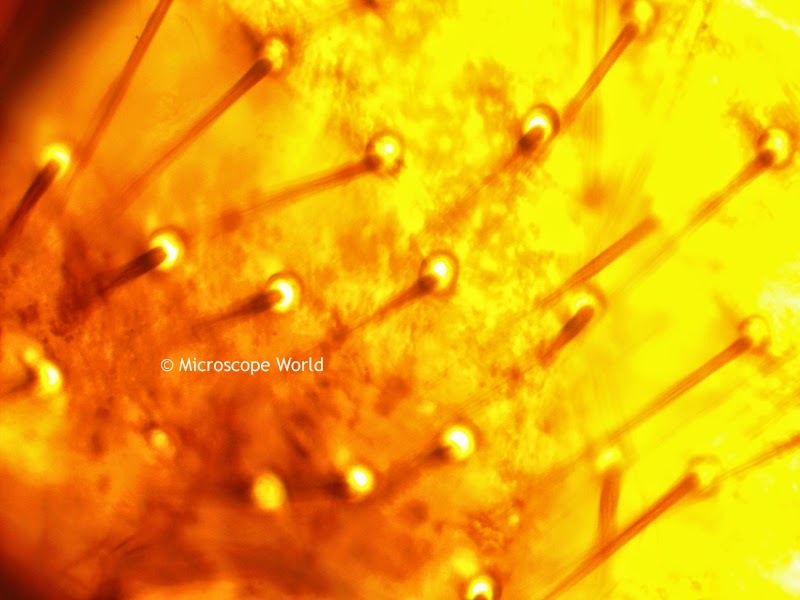 The HS-1D digital microscope includes a 3 megapixel camera. 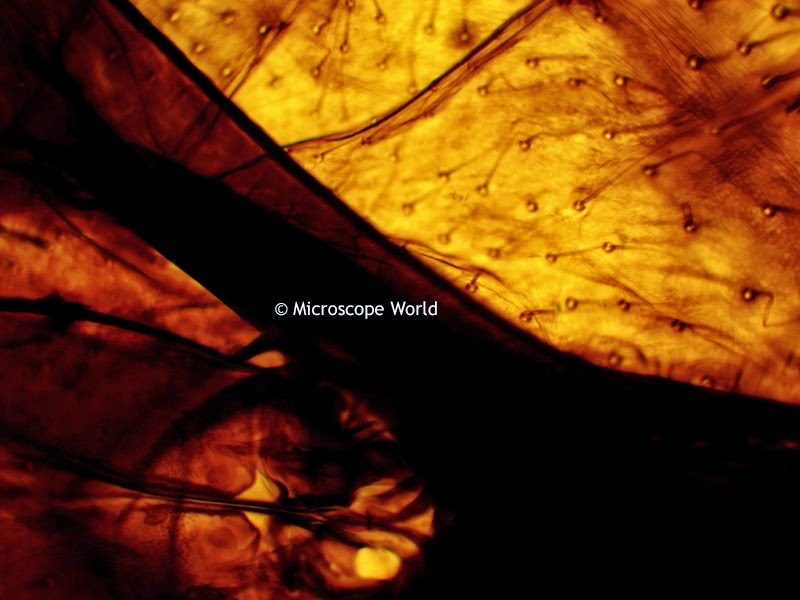 House fly captured under the microscope at 40x magnification. House fly captured under the microscope at 100x magnification. House fly captured under microscope at 400x magnification.